By now, I am sure that you are aware of how much purple is used in fashion and design – they showcase royalty, kingliness, majesty and stateliness. These are but a few of the reasons why people actually choose this color, but then again, if you think about it, using furniture and decor in this color will not hurt you one bit – this color like any other is as special as another if you actually love this color in particular. 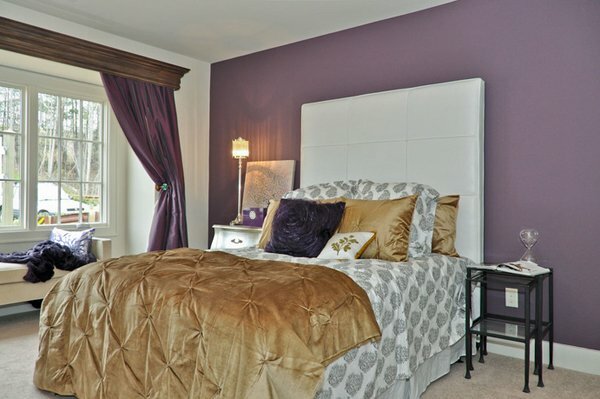 So, for today, we will be unveiling you a list of 20 Pleasant Purple and Gold Bedrooms! The pictures that we have exhibit wondrous designs, fancy themes and flash you tidbits of ideas as to how to play with this cool color combination! 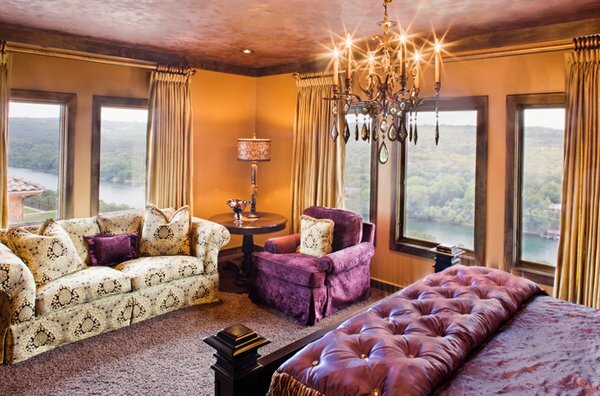 Behold the awesome 20 Pleasant Purple and Gold Bedrooms and give us you observations! If this is what 30’s Glamour is all about, then I sure do not mind having this minimalist themed bedroom in this same shade! 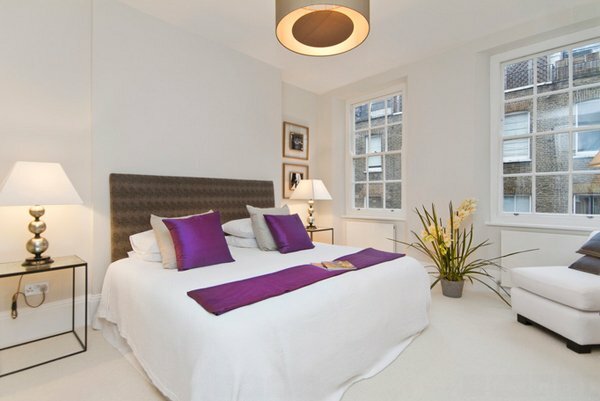 Astor Apartment is indeed one stylish bedroom! 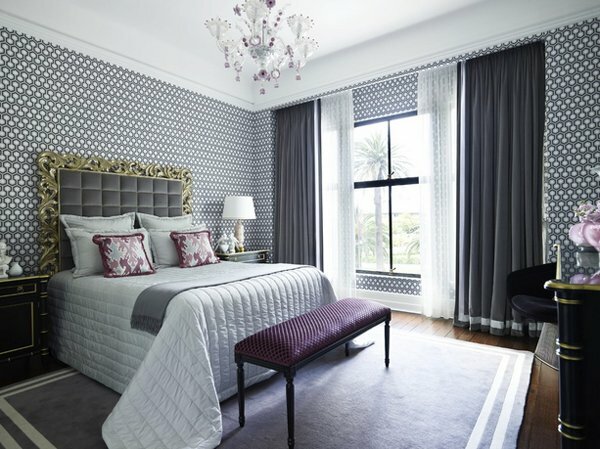 We see a graceful headboard and tasteful wallpaper! Astoria Towers is one modern way of living in this generation; Millennials like me would definitely love to stay in this place! The wall color and the choice of the bed is quite a treat! The purple and gold touches sure completes the look though. Refined bedrooms like this may seem hard to maintain, but with the right care and people, this place will definitely be a small heaven on Earth. Simple white bedroom with tiny accents of purple and gold sure lit up the room! 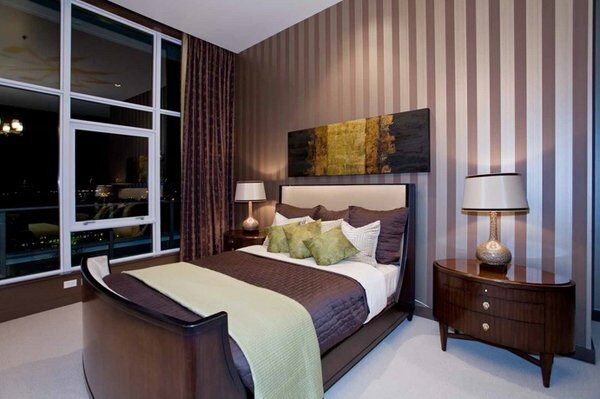 Gold table lamps that match each other complement the subtle colors of the bed and the bedroom in general. 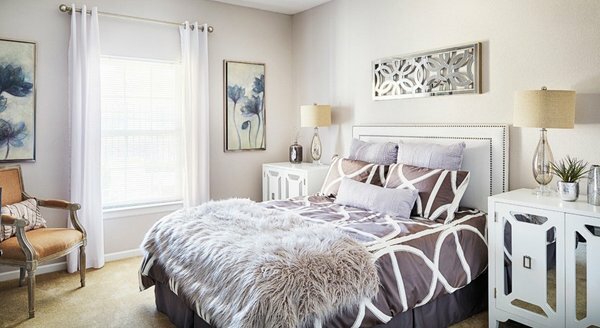 I really love the linens on the bed and the white side tables-cabinets! They are really pretty and classy! This bedroom is more regal than your regular bedroom! I mean, for sure! With all the linens, pillows and the decorations – this bedroom is just divine! This bedroom from Imagine Living is just dynamite! I love the fact that they added all that fur and wonderful carpeting! 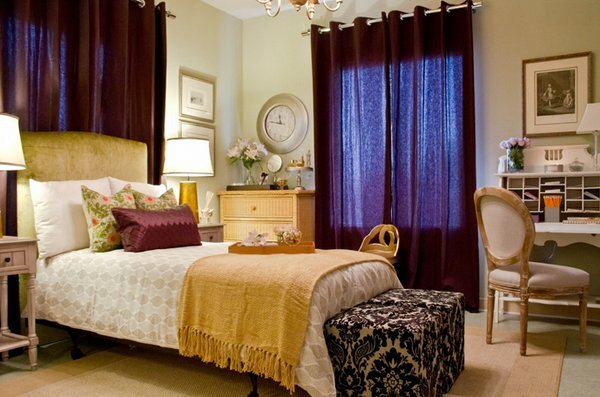 This bedroom design was done with great care and charm! The detail of this charity project is just fascinating! Cool and cute pillow cases and bed sheets and one awesome accent wall; this is one fascinating bedroom from Signature Homes! Angela Todd sure has a way of introducing simple colors and mixes them up with different textures. If you are into Mediterranean design and decor, this bedroom may just be one great design inspiration for your next redecorating project. 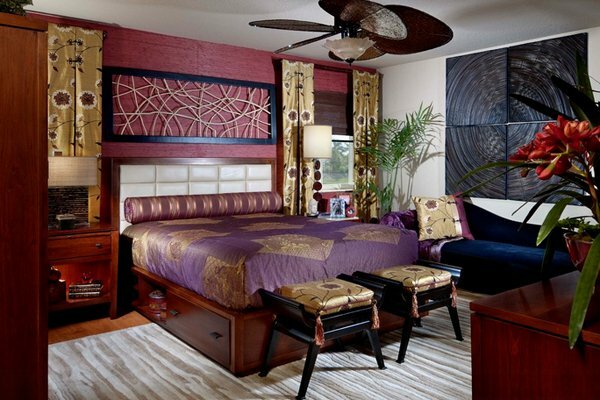 This is an Asian inspired bedroom which sure looks interesting and uncannily beautiful. A gorgeous bedroom with exquisite choice in sheets, linens and furniture! This place is just divine! Cleo may be a common look for an awesome bed but look at the pillows and the side tables and lamps seen beside it. I totally love the head board of this bed and the awesome carpet! The drapes are so cute on the walls plus the lamps too! Stunning bed in a room with a lovely purple accent wall! The foot stool is fascinating too! And that was the 20 Pleasant Purple and Gold Bedrooms that we have just completed for you guys! It sure is one beautiful list especially that this particular color is making waves in the market because of how classy and sophisticated furniture and decor have become. Tell us about what you think!